The allure of the seaside city of Aqaba encourages luxury and relaxation, in the Arabian country of Jordan. Be prepared to enter one of the Middle East’s hidden treasure spots, and with a population of just 188,000 residents, you’ll be guaranteed a tranquil escape. Attractions include Wadi Araba Desert, Berenice Beach Club and Sharif Hussein Bin Ali. 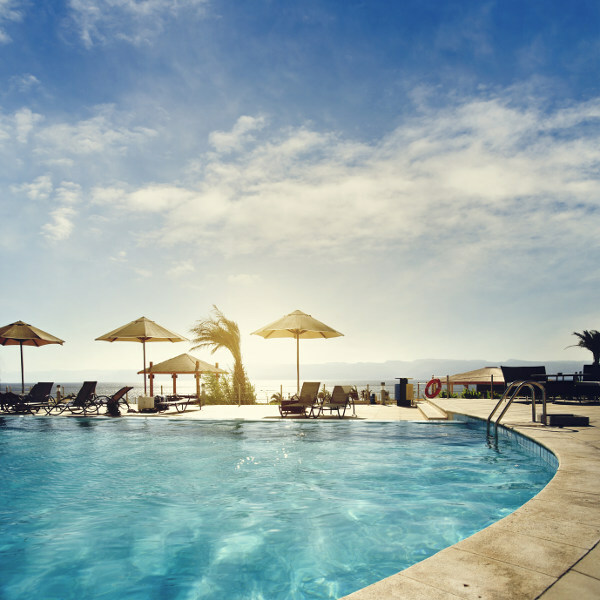 Cheap flights to Aqaba are now available for a limited period of time, so prepare to let your hair down and unwind to the easy-going city rhythms. Aqaba is home to King Hussein International Airport (AQJ), located on a 15-minute drive from the city centre. 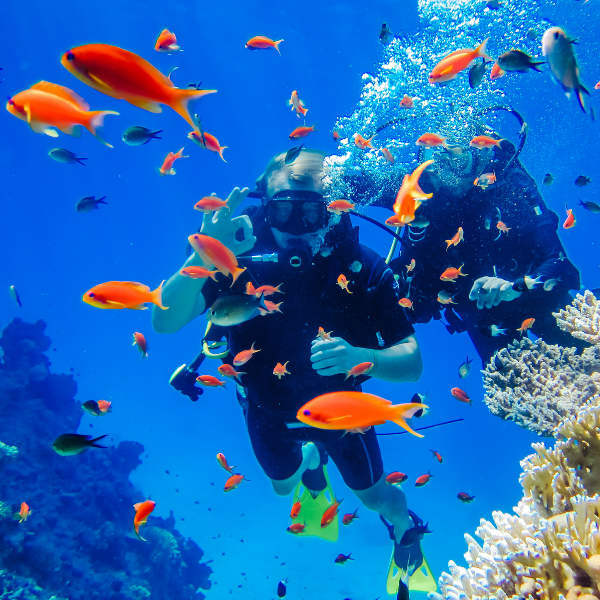 A top attraction in Aqaba would most certainly be the astounding under-water scene that can be experienced when scuba-diving on the tip of this Red Sea destination. Sugar-based desserts that are drenched in syrup will have you licking your fingers with desserts such as baklava and kanafah - first mentioned in Arabian history over 1000 years ago. This city is known as a paradise for holidays makers, and with resorts that pride themselves on exceptional beauty, you’ll be having a wondrous stay both inside the walls of your accommodation, and out. Aqaba, unlike the rest of Jordan, experiences a more moderate climate and can be enjoyed throughout the year. Temperatures in the summer time do get really hot (up to 38°C), but the cool sea breeze makes it a lot more bearable. The best time to visit Aqaba would be in spring (March to May) or autumn (September to November). During these two seasons, you will experience the best of the Jordan climate, but make sure to still remember the sunscreen. Aqaba may be one of the Middle East’s most hidden treasures, as this beach side city is all about providing the most luxurious and soothing escape from reality. Located on the coast of Jordan, Aqaba offers views of the Red Sea and beyond, and experiences like no other. It is customary to hand fresh dates to all guests to the region, a foresight of decadent things to come. Spend your days scuba-diving and snorkelling along the coast, bartering at the local markets and seeing the sights. The city also boasts a great cuisine, and with its location on the coast of Jordan, you’ll be in luck as fresh seafood gets mixed in with enticing flavours of the East. 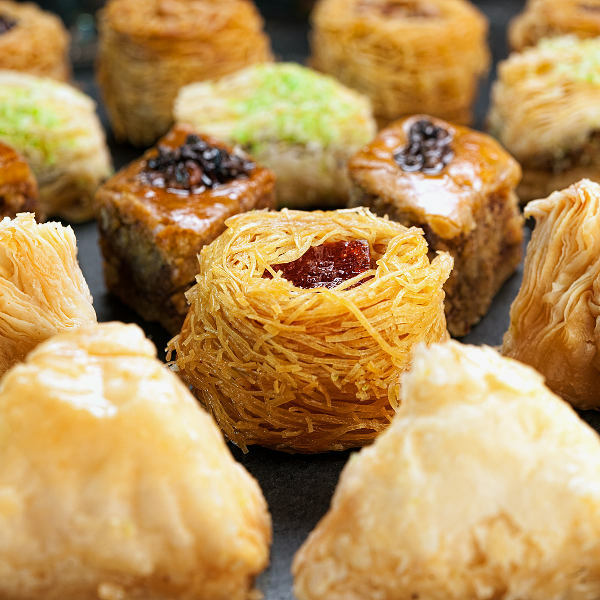 Rich, sugary desserts are also the order of the day in Jordan. Compare several airlines, and book your cheap flights to Aqaba online with Travelstart! Jordan is a top Arabian tourist destination and is more than accustomed to welcoming guests from across the world. The rules regarding any kind of petty theft and harassment are quite strong, so visitors to the country should feel free to walk around the city without a care in the world. Women are advised to dress modestly in the downtown area, and on any visits to small towns. It is always important to go for a general health check-up before a trip overseas. It is best to do this 4-6 weeks before your trip. For your trip to Jordan, it is strongly recommended to get vaccinations against the following diseases: hepatitis A and typhoid.